Here are a couple of articles that I read this week around the web that I wanted to share. Pride on Life of An Architect. 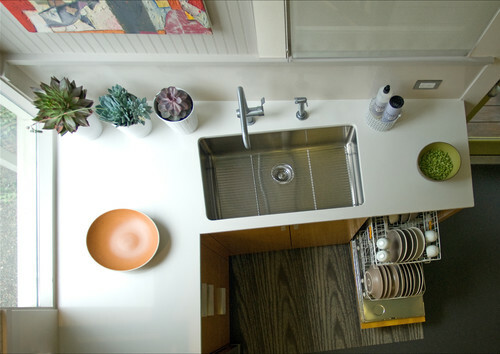 Check out this really cute kitchen on Houzz that is only 90 square feet! The countertops are Blizzard CaesarStone.